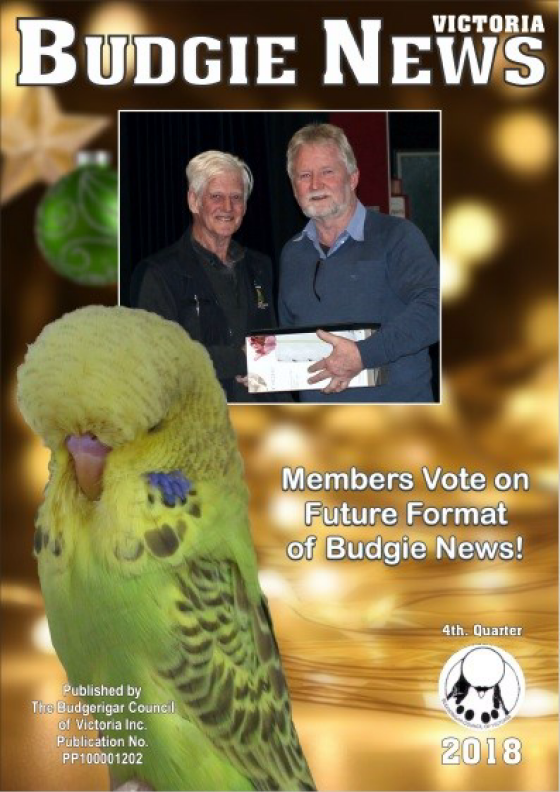 The Budgerigar Council of Victoria Inc. Such contributions must include the writer's name, address, and telephone number. The writer's name in every instance, will be included with published contributions. The contents of any contribution are the expression of the writer and not necessarily those of the Council or it's Editor. The right is reserved to edit any submission to Budgie News for clarity or space, or to reject it without obligation. Correspondence specifically on matters of Council business or BCV policy should be addresses directly to the Secretary. This is essential to ensure delivery of Budgie News. Please also notify the Secretary of Council to comply with General Rule No. 5f of the Rules of The Budgerigar Council of Victoria.